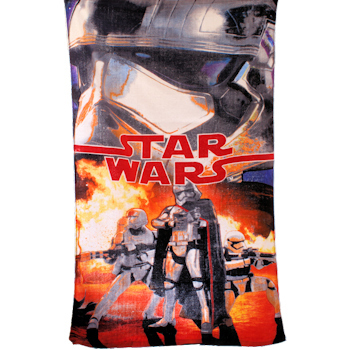 Star Wars kids beach towel personalised with an embroidered name of your choice. Star Wars kids beach towel personalised with an embroidered name of your choice. Made from 100% lightweight Cotton, 120 by 60cm approx.